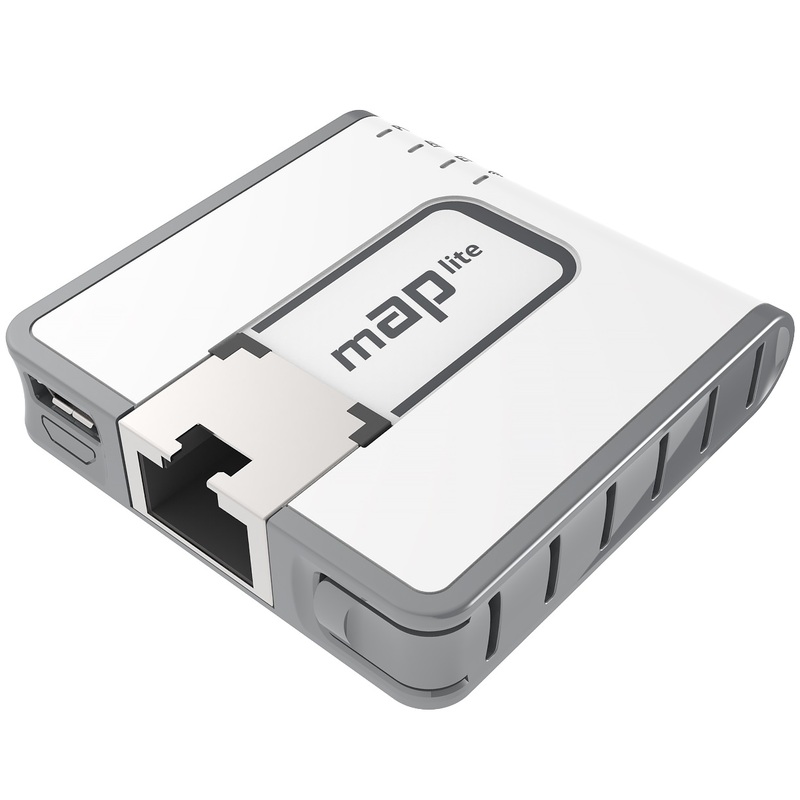 The mAP lite is MikroTik's smallest wireless access point. It is barely larger than a matchbox with a special Ethernet port to match its slim profile. You can carry it anywhere: use as a travel router to extend that hotel internet to all your devices or as a client device to improve your laptop signal range; the tiny mAP lite will be always with you. It can also serve as a simple configuration tool for your servers if there is no ethernet on your mobile device. The mAP lite is a dual chain 802.11 b/g/n device and operates in 2GHz.